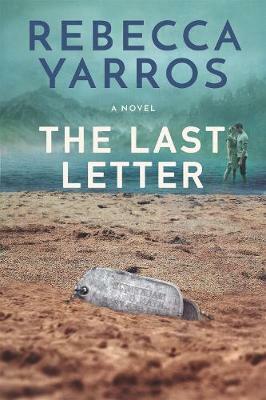 A soldier falls in love with his battle buddy's sister through their letters and returns home from Afghanistan with a secret that could destroy their fragile relationship. For fans of Nicholas Sparks and Jodi Picoult... A soldier falls in love with his battle buddy's sister through their letters and returns home from Afghanistan with a secret that could destroy their fragile relationship. Rebecca Yarros is a hopeless romantic and a lover of all things coffee, chocolate, and Paleo. She is the author of the Flight & Glory, Renegades, and Legacy series. She loves military heroes, and has been blissfully married to hers for fifteen years. With six kids, she's an autism mom and a hockey mom, and can order a mean pizza. Just don't ask her to cook. She lives in Colorado with the hottest Apache pilot ever and their rambunctious gaggle of kids.